//At Powerhouse, we cherish the opportunity to work with giants in the gaming industry. Our team got the chance to work with Riot Games on trailers for their hugely popular multiplayer online game League of Legends. 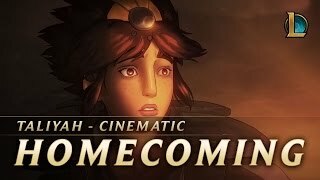 For these trailers we showed off our skills with painting and animation, making for beautiful introductions to their champions, Taliyah and Caitlyn. 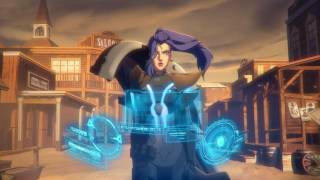 For these trailers our team wanted to showcase our various skills with traditional animation. Our animators and painters poured great effort into each frame, carefully rendering out each character’s subtle expressions and elements of their surroundings. Our compositing talent completed the trailers with lighting and special effects, setting two very different tones for each piece. We’re honored to have worked on these pieces with the team at Riot Games, and our effort shows in these particularly gorgeous trailers.